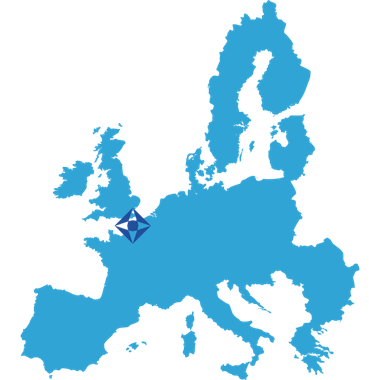 McLarty Europe includes seasoned Europe hands with decades of experience living and working in Brussels as former officials, journalists, thought leaders, and public affairs professionals. We’ve worked with some of the most prominent US and European companies as they navigate EU institutions, seek EU competition approval, and respond to policy shifts in the transatlantic relationship. Led by former Assistant Secretary of State for European Affairs and US Ambassador to Germany Richard Burt, our team includes Washington- and Brussels-based professionals with the institutional knowledge and deep networks to achieve results on clients’ behalf in both Brussels and in member states. McLarty Europe’s Brussels office is led by Philippe Maze-Sencier, who previously managed the Brussels and Paris offices of a global public affairs firm. We provided our clients with a comprehensive understanding of the national, European, and international regulatory frameworks surrounding the Privacy Shield discussions, as well as the prevailing political environment in the United States, at Member State level, and in Brussels. We advised them on strategies and helped them protect their interest in open and safe data flows and support the emergence of a new data transfer mechanism. While the dialogue with antitrust authorities is primarily a legal one, competition authorities rarely if ever come to a decision in a vacuum. Mastering the political considerations of a decision and supporting a wider dialogue have been at the heart of the European strategies we’ve provided to our clients, which have facilitated the successful completion of some of the largest transatlantic deals of the last decade. We advise clients on possible implications for their businesses as the UK prepares to leave the EU, keeping them ahead of the game as they plan for their future, supporting them in understanding and shaping their operational environment to help them navigate the complexity of this separation and protect and grow their operations despite uncertainty and turbulence.